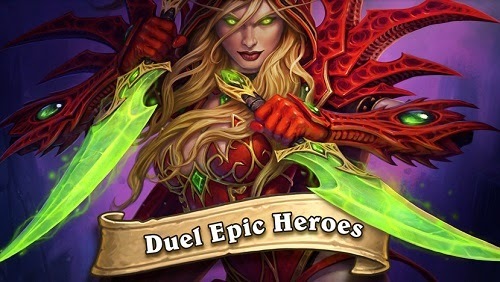 Heroes of Warcraft Apk Many developers are now porting their iOS games to Android and one such game is Heartstone: Heroes of Warcraft, a cool card game where players need to make epic strategies to defeat their opponents. The game is available for Android tablets and only with a 6 inch or more screen. The gameplay is simple and the main asses of the game is the graphics and in-game sounds, apart from that heroes of warcraft is just like any other Card game where players collect cards and build their deck and challenge other for card battles. Android users can download the game from Google play or you can download heroes of warcraft Apk file to manually install the game on your tablet.